← Competitive Start Fund – for design led start-up companies – Call Opening Soon! The New Frontiers Programme is Enterprise Ireland’s national entrepreneur development programme. 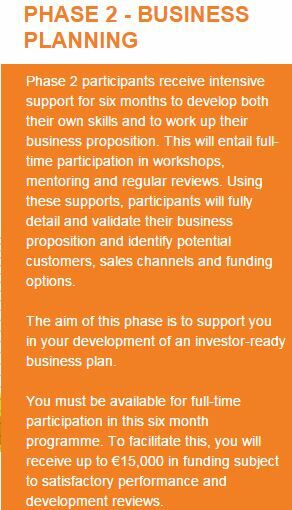 If you have an innovative business idea and are planning to establish and run your own company, the New Frontiers Programme could be for you. successfully start and grow your company. Applications being accepted for Phase 2 of the programme. This entry was posted in LINC News. Bookmark the permalink.